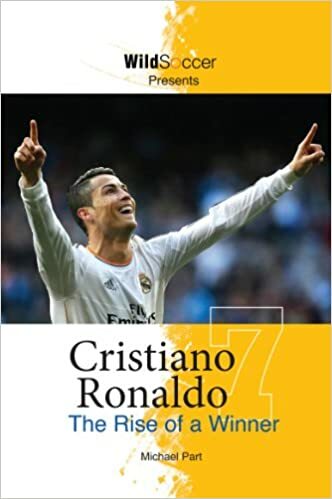 Cristiano Ronaldo is a Portuguese professional footballer who has played for Manchester United, Real Madrid and Portugal. Along with Lionel Messi, he is regularly considered to be one of the top two players in the world. He became the world’s most expensive player when Real Madrid signed him for 94 million Euros in 2009 from Manchester United. His sustained performance has enabled him to break numerous records for goal scoring and has been named FIFA player of the year (Ballon d’Or) five times. He has become an iconic figure in the sport. Cristiano Ronaldo dos Santos Aveiro was born in Portugal 5 February 1985. His second name ‘Ronaldo’ was named after his father’s favourite American actor – Ronald Reagan. From an early age, he loved playing football. His talent, enthusiasm and love for the game soon became apparent. By the age of ten, his talent was becoming well known in Portugal and he was signed for Nacional, a Portuguese side from Madeira. He later signed for Sporting Lisbon – one of the biggest clubs in Portugal. His first international exposure came when representing Portugal under 17s at the UEFA championships. His performance caused him to be marked by leading European football managers. In 2003, he played against Manchester United when Sporting beat them 3-1 in a friendly. After the departure of David Beckham, Sir Alex Ferguson decided to buy the youngster for a fee of £12.24 million. He started playing for Manchester in the 2003/04 season. Despite initially asking for the number 28 shirt, Ferguson insisted that he wear the famous number 7 shirt. At Manchester United, his career steadily progressed. 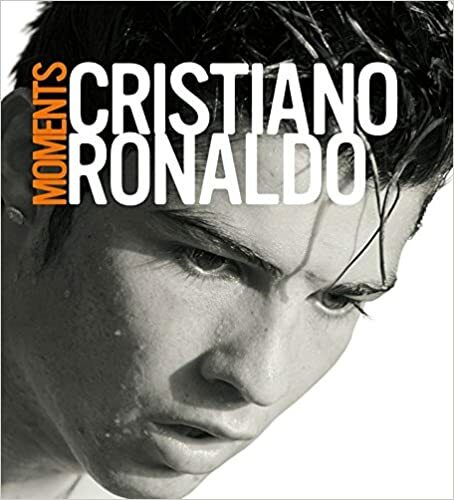 In the 2006/07 season, Ronaldo was a key figure in Manchester’s successful league campaign. Ronaldo scored over 20 goals, as he won his first championship. In March 2007, his prowess helped him to gain a record-breaking £120,000 a week five-year contract. He also won PFA player of the year award. However, despite the success, Ronaldo expressed a desire to leave the club, and move to Real Madrid. In 2009, Manchester United accepted an offer of £80 million from Real Madrid, making Ronaldo the most expensive player in the world. Despite intense pressure, Ronaldo thrived in the atmosphere at Real Madrid reaching 100 La Liga goals in just three seasons at Real Madrid. He has gone on to become Real Madrid’s top goal scorer of all time. At times, Real Madrid have been overshadowed by their more successful rivals at Barcelona, who won more titles and competitions. With Ronaldo, Real Madrid have won the La Liga just twice – 2011–12, 2016–17. However, he has guided Real Madrid to three UEFA Champions League: 2013–14, 2015–16, 2016–17. His prolific goal scoring record has lead to frequent comparison with Barcelona’s exceptional Lionel Messi. Sometimes, Ronaldo played up the rivalry, but at other times played it down. Ronaldo represented Portugal at The World Cup in 2006 and 2010 and the Euros 2004, 2008, 2012. Despite being a marked man, he helped Portugal to a consistently good performance. He is already Portugal’s third most capped player. Famous Sports people – Famous sportsmen/women. Including football, athletics, tennis, rugby, cricket, boxing. A list of 100 sports stars, such as Muhammad Ali, Serena Williams, Pele and Usain Bolt.